Nothing should get in your way of keeping your home beautiful day and night! 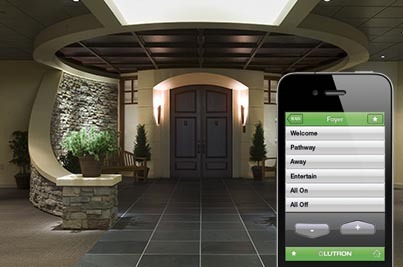 This is why we offer lighting control systems that will keep your home beautifully lit at the touch of a button. Set lights to turn on and off at a certain time of day so that your house appears lived in, even when you are away, ensuring the safety of your home. Dim and brighten your lights easily to create the perfect mood anywhere in the house. 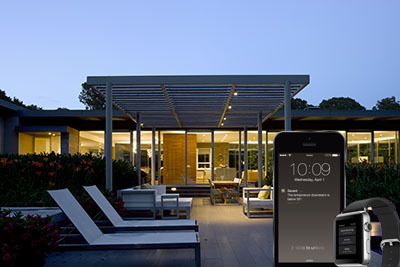 You can also control the lighting in your home and garden from your smart phone or device, so that you can turn the driveway lights on before you’ve even left the office! We will send our team of technicians to set up your lighting system so that it is perfectly integrated into your home. With the right lighting, Jackson Hole AV can help you turn your house into a home. 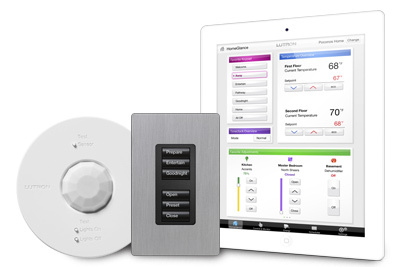 Here’s a bright idea; we can replace your existing Lite-Touch panels quickly and easily with a new system from Lutron and Jackson Hole AV. With Lite-Touch panels being discontinued, hundreds and thousands of households and businesses across America are at a loss about what to replace it with. With the option of rewiring the whole home being an expensive, messy and time consuming option, businesses and households are looking for a better solution. Jackson Hole AV offers Lutron lighting panels that perfectly retrofit into existing Lite-Touch systems, and are seamlessly integrated into your existing lighting systems. This solution is fast, neat and far cheaper than the alternative.